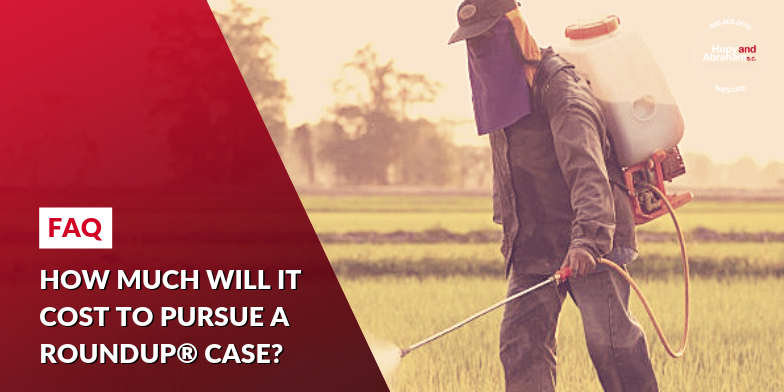 What a Roundup Lawsuit May Cost You | Hupy and Abraham, S.C.
How much will it cost to pursue a Roundup® case? Roundup® has already cost you a lot more than you thought it would. What you thought you were paying was the retail price of the product. Instead, you ended up paying with a diagnosis of non-Hodgkin’s lymphoma. Non-Hodgkin’s lymphoma is a type of cancer. It requires expensive medical treatment. You may be unable to work or go about your regular activities during treatment, suffer physically, and suffer emotionally. In other words, the costs may be very high. The experienced injury lawyers of Hupy and Abraham believe that everyone who is hurt by a product, such as Roundup® deserves to make a fair recovery. However, it can be frustrating, time consuming, and difficult for individuals who try to get that recovery from Monsanto, the maker of Roundup®, on their own. Get a free, no-obligation consultation. Come meet us in person at one of our 11 offices throughout Wisconsin, Illinois, and Iowa or at a location that is convenient for you. Defer litigation costs until your case is resolved. The costs associated with your case can be paid out of your settlement or court verdict. Pay your lawyer on a contingency fee basis. Instead of paying an hourly rate, our lawyers will work on a contingency fee basis. This means we will be paid an agreed upon percentage of your final recovery. If you don’t recover, then we don’t get paid. In the end, you may be financially better off hiring a lawyer than trying to handle your Roundup® case on your own. Even after attorneys’ fees, there could be more money in your bank account when you fight for justice with the help of our experienced lawyers. Call us today, text us, or reach out to us via this website to learn more about your rights and to schedule your first, free, no-obligation consultation.